There are so many things to buy when getting a pet! Luckily we have most of those items right in our retail shop! From leashes to litter boxes we’ve got you covered. 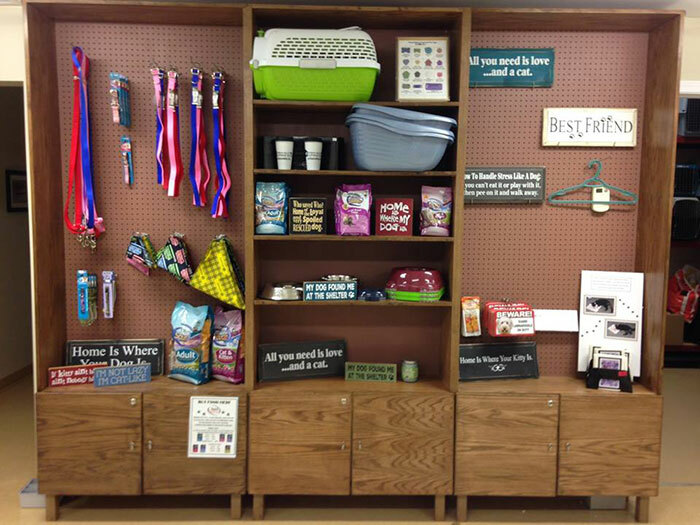 We also sell fun items like bandanas and decorative signs. So whether you’re just getting your first pet or have had your furry friend for a while stop into the shelter to see what we have to offer!